Watch a recording of the live webinar. Unfortunately, Victoria wasn't able to attend the webinar due to unforeseen circumstances. 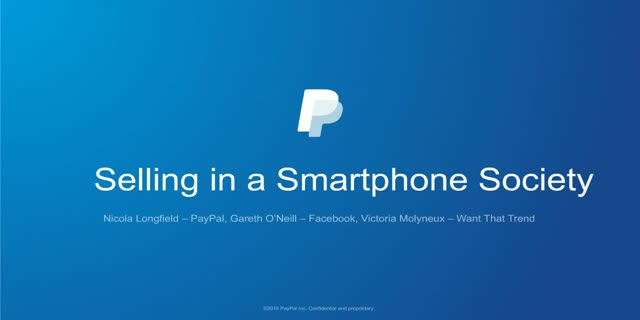 Watch the replay to hear Facebook’s Gareth O’Neill talks to Nicola Longfield from PayPal about best practice for making sales from social media. Nicola Longfield, Director of SMB, PayPal UK. In this webinar, Want That Trend founder Victoria Molyneux talks with specialists from Facebook and PayPal about how mobile customers are growing her retail business. Presented by: Nicola Longfield, Director of SMB, PayPal UK.